From delayed & reverse exchanges to build-to-suit construction exchanges, we work hard to help you maximize the tax efficiency of your transaction. In addition, we are in the business of helping individual like you to deferred capital gains and annual profits by setting up a Self-directed IRA account. This easy and cost effective investment vehicle allows you to quickly build wealth and take full control of your retirement account – eliminating costly high fees. Investing in non-traditional investments like real estate, tax liens, account receivables, private notes and a business to name a few. 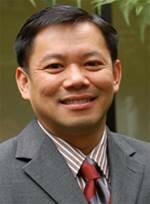 Mr. Wai-Yew Lam is the founder of Adelphi Retirement Management, LLC, established in Oakland, California. Mr. Lam comes with over 30 years of professional experience conducting 1031 exchanges and administering Self-directed IRA with a banking background. He is especially knowledgeable in structuring complex real estate transactions involving multiple investment properties comprising of both residential and commercial properties all over the US. He has since performed over 5,000 successful exchanges, helping investors to save hundreds of millions in taxes. A noted lecturer, Mr. Lam have counseled thousands of investors, title companies, CPAs, banks, accountants, brokers, and real estate investment clubs on the many aspects of tax-free exchanging and Self-directed IRA on real estate investing in general. From 2006 to 2009, Mr. Lam was a frequent guest speaker at Merritt College in Oakland, California, teaching and sharing his working experience into the class rooms. At the same time, Mr. Lam has conducted numerous accredited real estate classes in California educating realtors on their roles and responsibility when transacting 1031 exchange. In 2006, Mr. Lam founded a non-profit organization called Asian Real Estate Association of the East Bay based in Oakland, California. An organization created with the core mission of helping low income Asian families to navigate complex issues like, language translation, predatory lending and real estate negotiations etc. This organization also operates as a “resource center”, empowering real estate professionals by conducting numerous educational classes annually. Since relocated to Houston, Texas in 2013, Mr. Lam has expanded his operations to the South Central region of the United States. Mr. Lam is a qualified TREC instructor and currently teach a 4 hour continuing education class titled “Putting Together a 1031 Exchange”, course #31196. He can speak moderate Mandarin and Cantonese when required. February 10, 2006: Certificate of Honor serving as a Board of Director with Chinese Real Estate Association of America awarded by Mayor Gavin Newsom of San Francisco, California. December 4, 2009: Certificate of Special Congressional Recognition serving as Chairperson of the Board of Asian Real Estate Association of the East Bay, awarded by Congresswoman Barbara Lee of Oakland, California. Mr. Yesk has been in the 1031 business for over 20 years, helping thousands of real estate investors save millions of dollars in taxes. That is money that can be used to grow your investment portfolio. A well-respected attorney and trainer, Mr. Yesk has given accredited seminars to attorneys, accountants, enrolled agents, investors and real estate agents on 1031 exchanges, real estate investing and ethics for attorneys. Known for his creative strategies and quick wit, his seminars are informative and entertaining. Yesk Law was founded in 2011 to help real estate owners dealing with the financial crisis, focusing on real estate litigation, bankruptcy and loan workouts. Mr. Yesk has helped hundreds of property owners to save their properties from foreclosure in the last few years. Artur Urbanski is a serial entrepreneur and business development professional. He is a California real estate broker whose mission is to help property owners to maximize value of their properties. Connecting real estate clients, agents and brokers with accomplished 1031 Exchange and self-directed IRA professionals is an important element of his approach. 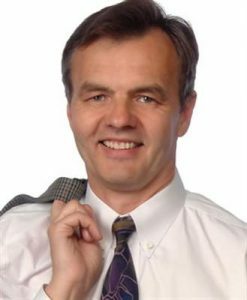 Artur is the founder of Cimpler Real Estate in Burlingame, CA. Cimpler helps home buyers and sellers in all Bay Area counties to simplify real estate transactions and save money utilizing the “Cimpler Way” home buying method.